In Ground Penetrating Radar (GPR), the radar signal is an electromagnetic pulse that is directed into the ground. Subsurface objects cause reflections in the data and the travel time indicates the depth of the object. 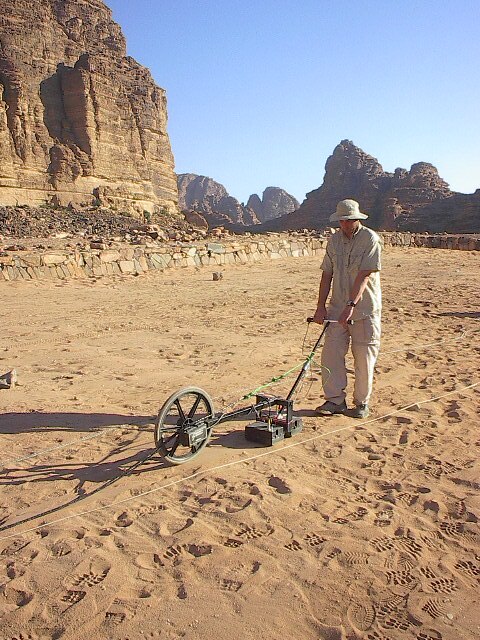 GPR is best utilized in sandy soils without a lot of clay, silts or material that will cause metallic interference. Rocky terrain or heterogeneous sediments can further cause problems. Whether an emergency repair, scheduled maintenance, inspection, or risk mitigation, GeoArc’s exterior services provide you the information and actions needed to keep your dam in good working condition. We can help you take care of concerns such as vegetation, concrete sampling, and maintenance before they become larger issues - saving you time and money. We can get within arms reach of almost anywhere on the dams exterior, providing you with invaluable information and on-demand service.